11 posts categorized "Distribution Channels"
At our last Conversations on Social Marketing session Greg Cowal spoke about his company’s [GSP] efforts to assist Proctor and Gamble in reaching ‘the next billion’ – mostly poor women living in developing countries. 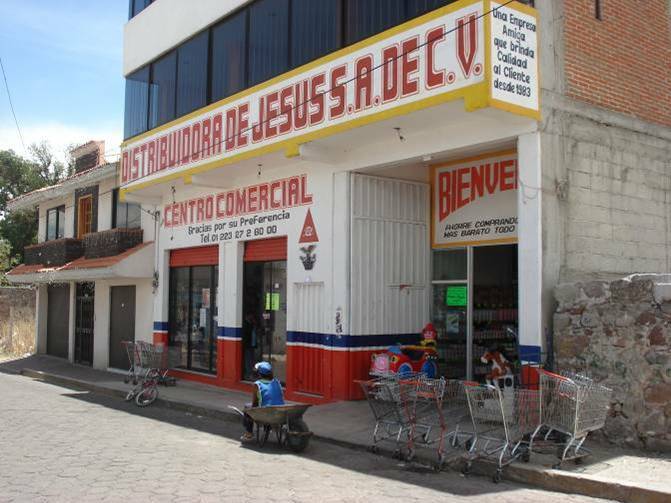 In Mexico, where he is implementing the Golden Stores project, 620,000 changarros or ‘Mom & Pop’ grocery stores account for 65% of all purchases of fast moving consumer goods (FMCG). The Wall Street Journal has described these ‘high frequency’ stores where the average customer shops at least 4-5 times a week as: Crammed with food and a hodgepodge of household items, these retailers serve as the pantries of the world’s poorest consumers for whom money and space are tight. 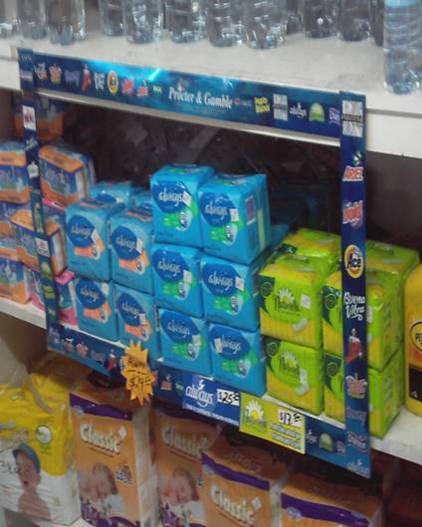 P&G saw the need to penetrate this market segment with its products in a consistent way. The project is part ethnographic research where the project staff live with these retail owners in their own homes for a month or more to get a deep understanding of their lives and how running a retail operation works (or doesn’t) for them. Next comes a store detailing and merchandising program that identifies highly visible shelf space and turns it into a P&G showcase of their brands. It is a staff intensive program that is largely managed through cell phones and GPS systems. Regular follow-up by staff and retailer education and support programs centered on running a more successful business round out their activities. It is a clear demonstration of how successfully marketing FMCG to consumers can ultimately depend on how well your brands are marketed to the retail owners (people critical to success) and at the point-of-purchase. These shops are family owned and most members participate in one way or another – the opposite to this is where one member wants or needs to have an extra income. They are not good at managing their income or budgets. They live on a day to day basis. A changarros' life span is 3 to 5 years. The owners are not good at changes or modernization. They do not trust or use banks. The idea of someone coming into their store and changing their layout was - and still is - a work in progress. In the end, what has been our major success has been the SERVICE provided to them. The AMA wants state and federal agencies to look into whether pharmacy chain-owned clinics located in the stores urge patients to get their prescriptions filled on site, which the AMA maintains would pose a conflict. It also said that insurance companies should be banned from waiving or lowering co-payments only for patients who get treatment at store-based clinics. "If the AMA pushes this agenda, its members may find out that legislators and constituents have been demanding accessible, affordable and high-quality health care for years and that's what retail clinics are delivering," Walgreen spokesman Michael Polzin said. I find it curious that the American Academy of Family Physicians, whose members could be perceived as having more at stake with the unspoken cost here of losing patients and income to retail outlets, entered into an agreement with one chain last October to help assure the quality of care. And on a very related note: [Health] Uninsured Americans numbered 43.6 million last year, a 6 percent increase from 2005, according to the U.S. Centers for Disease Control and Prevention. For those without health insurance, the retailers often charge less than $60. That is significantly less than the $100 or more a doctor would charge for an office visit, analysts and insurers say. Out-of-pocket costs for those with health insurance coverage have tended to be the same $20 co-pay at a retail clinic as at a doctor's office, retailers have said. But doctors say the health insurers have recently created an "unfair playing field" by waiving patients' co-payments at retail health clinics. Doctors say that is designed to get patients to bypass a more comprehensive visit to the doctor's office. Supporters of retail clinics say such complaints about insurance coverage show the AMA's interest in the issue is largely financial. "It's going to affect their bank account, that is why they oppose retail clinics," said Edie Brous, a nurse and lawyer from New York who represents nurses on license issues. "The real reason physicians oppose retail clinics has nothing to do with patient safety or quality care. Rather, it is pure profit-driven, anti-competition greed." The American Medical Association is being lobbied hard by some members to take a strong stand against retail outlets such as Wal-Mart and Walgreens, asking for a ban on their opening of in-store medical clinics. They are using the usual arguments that doctors aren't involved so how can quality care be provided to patients who use these clinics? And I love this argument: If the AMA does nothing, Hashemi said, "in five years, the chairs [at the AMA] meeting will be filled with representatives from Walgreens, Wal-Mart" and other retail outlets. It's the old strategy: if they get you asking the wrong questions, they don't have to worry about the answers [Thomas Pynchon's Proverbs for Paranoids]. How about - why not figure how to make these clinics work even better and more efficiently in order to help make primary health care more accessible and affordable (and timely) for people living in poverty or are do not have health insurance? And why continue to support the current model of primary health care delivery anyway without comparative trials of alternative models to improve community access to services and their impacts on health status? Other models seem to be working. Here's an earlier post I did on business models for social marketing programs where franchising approaches to health were looked at. Renting pollution-spewing delivery trucks as moving billboards is the latest gimic in the US city with the worst air pollution (LA). Mobile Vision Marketing leases trucks and outfits them with global positioning systems to follow the drivers' routes. Clients then choose whether they want to use an empty truck and tailor the route to a targeted audience or, for less money, put ads on the sides of trucks that run pre-scheduled delivery routes. When one of the owners is asked what people think about the belching smoke from the trucks, he says he doesn't care as long as they see the ad. This is just one of many new examples of interruptive marketing, the term being used by social media advocates to distinguish between the more open, permission-based, and participative philosophy of communication with audiences, not at them. Louise Story looks at advertisers' quest for ubiquity [NYTimes] where every blank space is up for bid. Her story contains this nugget about exposure to advertising: the average person living in a city is estimated to be exposed to 5,000 ad messages a day - up from 2,000 30 years ago. Rohit Bhargava also takes a look at this ubiquity phenomenon, starting with the proposal to allow advertising on the security bins used at airport checkpoints. 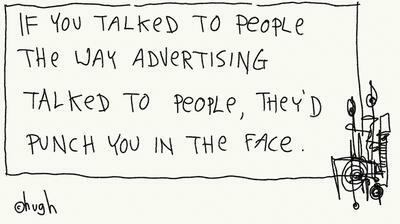 He goes on to other unexpected places for advertising, and suggests the brands to go with them. I suggest the clean air and alternative fuels folks look at those trucks in LA. In the social marketing community we are often trying to emulate our commercial counterparts - even if we don't have the same advertising budgets. Even when we do, this is one arena where it's worth considering the costs and benefits of achieving our own forms of ubiquity and the tone we use to try and achieve it. 'This ain't my first rodeo' was recently used by President Bush in having to now work with a Democratic Congress (he had a Democratic State House when Governor of Texas). Today I was reminded of it when looking for venues to get in front of priority audiences. Social marketers often dream of being in the big leagues of professional sports where exposure of a project both in-person and through media coverage can reach into the millions, but the price of admission limits these opportunities to only a few well-funded, or well-connected, programs. However, as you shift your thinking from reach to engagement of social networks and communities, a variety of new options present themselves. From minor league baseball and hockey to high school teams there are many different ways to interact with social networks and communities when you shift to an audience perspective and think small and targeted. This LA Times story is a case in point. If Ben Londo's game were football, he'd be as famous as Reggie Bush, the former USC running back who won last year's Heisman Trophy as the country's best college football player. More famous, actually. Londo, a Cal Poly San Luis Obispo senior, has won his rugged sport's equivalent of the Heisman for two years in a row, and is intent on winning it again this season. As the article goes on the describe the triumphs of Ben and his college rodeo team, it notes that it costs each team member about $5.000 a school quarter to maintain their horses. And scholarships cover only part of the costs. The visibility of the sport and the needs of the athletes were opportunities US Smokeless Tobacco wasn't going to pass up for its sports marketing portfolio. I wonder how many health promotion programs around the collegiate rodeo circuit have done the same? The current interest in getting involved in digital social network sites on one hand is quite exciting to witness, but on the other hand there are thousands of social network sites convening every day across the country - sporting, arts and entertainment events in your community - that engage their participants, fans and schools as much (or more) that a site on MySpace. Maybe they don't have the sophistication or Wow! factor of digital media, but these real life social convening points are likely even more powerful than mediated ones to encourage the adoption of the behaviors, products and services you are marketing. When I was directing a community-based program, our sponsorship of a youth soccer team in the Portuguese community may not have altered a single heart disease risk factor in and of itself, but it paid dividends for us in demonstrating that we were part of their community and developing relationships that led to a series of risk reduction programs (including risk factor screenings at some of the games). 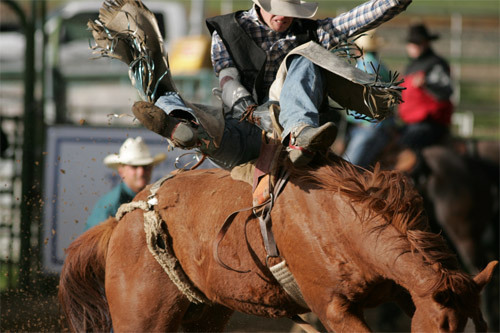 Wherever you are planning or conducting a health promotion program, you might want to ask yourself if this is your first rodeo? And if not, look for one. Speaking of hockey, who wouldn't be conducting some of their flu shot education programs this time of year at ice skating rinks? Making health care more accessible while also building a transparent health information infrastructure in communities seems to be the one of the goals of the agreement between CVS' MinuteClinic and the American Academy of Family Physicians. The project will utilize the Continuity of Care Record standard (ASTM CCR E2369-05) to assure portability and interoperability of personal health records provided to patients who visit MinuteClinic health care centers. It will field test the CCR standard in family physicians' offices, as well as in MinuteClinic sites where nurse practitioners and physician assistants provide care. The field test will occur in several key markets as a prelude to a national rollout. The move by drug store chains to provide basic health care services can provide an essential service in many communities. The idea of linking up with family physicians is a good one, as these clinics should not be a substitute for having a primary care physician, but be an adjunct to them and an additional benefit to their patients. The agreement might also speed up the movement towards, and adoption of, certified electronic health records that can be responsibly shared among practitioners and be transportable by patients. The Continuity of Care Record standard also addresses the concern that clinics of this type may contribute to fracturing the care patients receive among different types of providers. If you are a marketer of health services or health behaviors in a community setting, pay attention to this trend and figure out the win-win-win. Utilizing cutting edge technology, BusRadio has developed a proprietary closed network of school buses that receive age appropriate programming each day as students travel to and from school. The show is geared towards entertaining the students, while also incorporating educational content and safety awareness messages. BusRadio has exclusive agreements with school bus contractors and school districts nationwide to outfit their fleets with our customized digital player. From our centralized programming facility, thousands of school buses across the country will receive a customized BusRadio show specifically targeting their geographic location, age level and ethnicity. Be sure to check out the positioning compared to traditional AM/FM radio stations (with those unpredictable and offensive song lyrics and DJ chatter) as well as the study that demonstrates reduced noise levels and fewer student disciplinary problems. And 6 minutes of each hour of programming will be reserved for safety messages and PSAs while 10 minutes are for 'corporate sponsorships and contests' - walk to school anyone? Thanx to MIT Advertising Lab. The Center for Media Research takes a look at destinations, demographics and advertisers in the health, fitness and nutrition catagory. Here's one chart to get you started. In an article Tuesday, Federal efforts to achieve universal access to broadband Internet service is falling short of expectations. However, efforts to make the extra airwaves available could be complicated because many television stations are moving to new channels within the broadcast spectrum band as part of the transition to higher-quality digital television signals. "While we support increased use of this spectrum for broadband where feasible, we don't want to burden consumers by interfering with their ability to watch their local television stations," an FCC spokeswoman said. Public health and social activists are concerned about many different types of public policy and how they impact their issue. Public policy around communication technologies and access to them impacts us all. An article in Sunday's NYTimes profiles 'older' members of the Millennium Generation (those born between 1980-2000) to remind advertisers (& social marketers and health communicators) that the choices in using digital media continue to fracture target audiences and present new challenges for capturing their attention [A Generation Serves Notice: It's a Moving Target]. Karell Roxas, 24, a senior editor at Gurl.com, begins each day in her Williamsburg, Brooklyn, apartment with a diet of Gmail, Hotmail, work e-mail, NYTimes ("I haven't picked up a print newspaper in forever," she says) and blogs, in that order. She says it is a necessary regimen for maintaining a functional dialogue both at work and in her circle of friends. The preceding generation may have thought that e-mail, newsgroups, Web forums and even online chats accelerated the word-of-mouth phenomenon. They did. But they are nothing compared with the always-live electronic dialogue among millions of teenagers and 20-somethings. For the millennials..."reliance and trust in nontraditional sources - meaning everyday people, their friends, their networks, the network they've created around them - has a much greater influence on their behaviors than traditional advertising." Magid calls it the peer-to-group phenomenon - a digital-age manifestation of the grapevine. "When someone wants to share it, forward it, record it, take a picture of it, whatever the case may be, that puts it into a form of currency," Mr. McKenzie said. "And when marketing gets to a level of currency, then it has achieved nirvana status." Meaning that the challenge for marketers is how to create peer2group exchanges that feature their brands, products, services and behaviors The question is no longer "what motivates someone to change" but rather "what motivates someone to share something they find intrinsically useful and valuable with their most trusted friends and colleagues?" And of course: what makes something useful and valuable to them to begin with? We need to become more focused on not just behavior change outcomes for individuals, or environmental and policy changes, but social network changes that guide and support our efforts both up and down the river.